Essie School of Hard Rocks OPI The Living Daylights, I started hauling more glitter because I felt like my collection was lacking in that area. 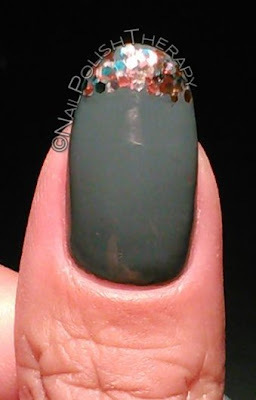 So I picked up a few polishes from the new OPI Skyfall 007 collection. I was trying to think of a way to use this glitter that has not already been done. 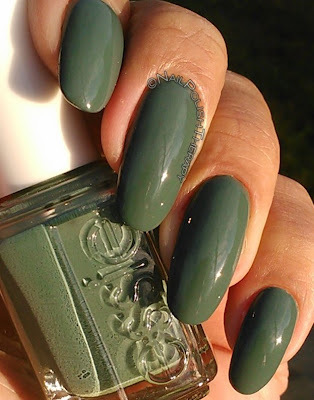 Many people just put it over one of the other colors in the collection, or bejeweled one nail or used it in a gradient. So i figured I would use OPI The Living Daylights as a french tip color instead. 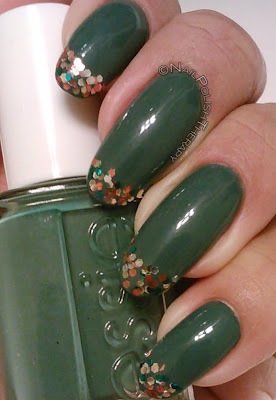 I have had Essie School of Hard Rocks for some time now and never used it before. It's such a beautiful color in it's dusty periwinkle blue/gray. The formula was thin but consistent and opaque enough in 2 coats. 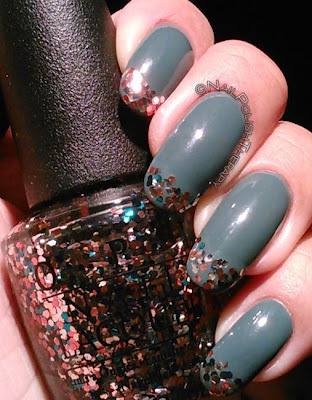 OPI The Living Day Lights is a multicolored hexagon shaped glitter in a clear base. Although a little thick, it was very easy to spread and I achieved the look I was going for with little effort.